If you signed up for the session, don’t forget that this Saturday, October 27, from 9:00 a.m. to 12:00 noon, in the Parish Hall, The Rev. Deacon Theresa Lewallen will facilitate a discussion to help us determine our individual strengths, skills, and resources, which we can share with others. 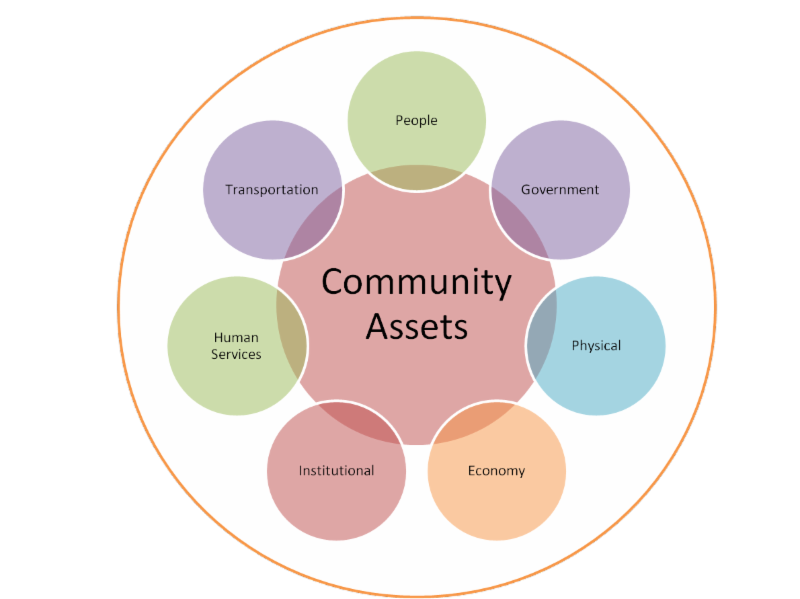 This “asset mapping” will assist us in knowing, as a community, how we can better support other organizations, such as Episcopal Community Services. Coffee and breakfast food will be available beginning at 8:30 a.m., and lunch will be served following the session. For more information, please contact David Curtis .  Please note that this email might be clipped in some browsers; be sure to click "view entire message," if necessary, to view the entire message. This coming Saturday, we will be gathering in the Parish Hall to participate in an Asset Mapping Workshop facilitated by The Rev. 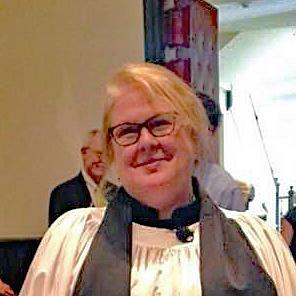 Deacon Theresa Lewallen. 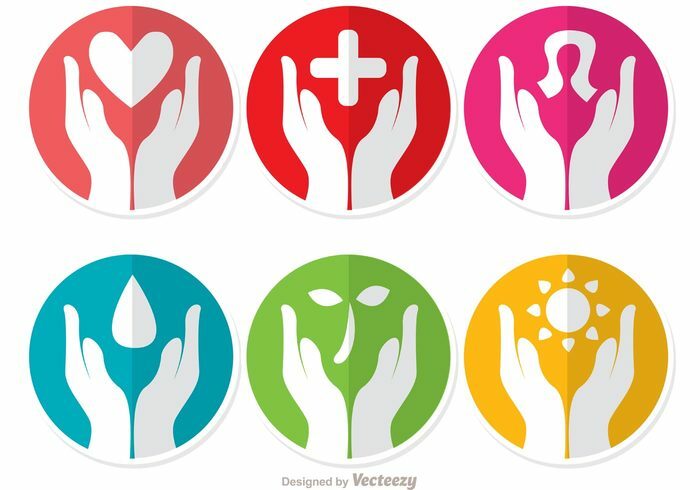 Together we will go through a process of identifying the unique gifts, resources, skills, and talents that we can offer our community and organizations such as Episcopal Community Services (ECS) and Circles RVA. I cannot think of a more fitting way to go “NOW into the World” during this season of stewardship, more fully aware of our untapped gifts and potential, with a richer sense of our identity, both individually and as a community. In our gospel lesson for this Sunday, we hear the story of Bartimaeus, a man whose blindness required that he sit by the road begging. We do not know how long he has been blind or how long he has been sitting there, but we do get a sense that his condition has become his identity. I’ve always wondered if Bartimaeus had other attributes – other skills, gifts, talents, that we don’t hear about. A good sense of humor? A mind for math? A compassionate, listening presence? What we do know is that when he heard Jesus coming, Bartimaeus cried out, “Lord have Mercy.” Somehow, Bartimaeus mustered the courage to reach out to Jesus. Did he know, deep inside, that his blindness what not his only identity? Did he long to uncover, leave behind, risk everything, to live in to a new and richer identity? Now is the pivotal moment, not only for Bartimeaus, but for all of us who are stuck in an old story, an old identity. Will we, like Bartimaeus, have the heart to haul ourselves up from our old positions and habits of mind? Will we be courageous enough to let go of the story we know, tap into the fullness of our identities, and step into an unknown story? Sunday, we continue our discussion on the connection between faith and citizenship during a challenging and divisive period in our nation’s history. Our conversation will focus on faith in the public square with a panel discussion including The Rev. Deacon David Curtis, Bud Oakey, and other members of the St. John’s community. 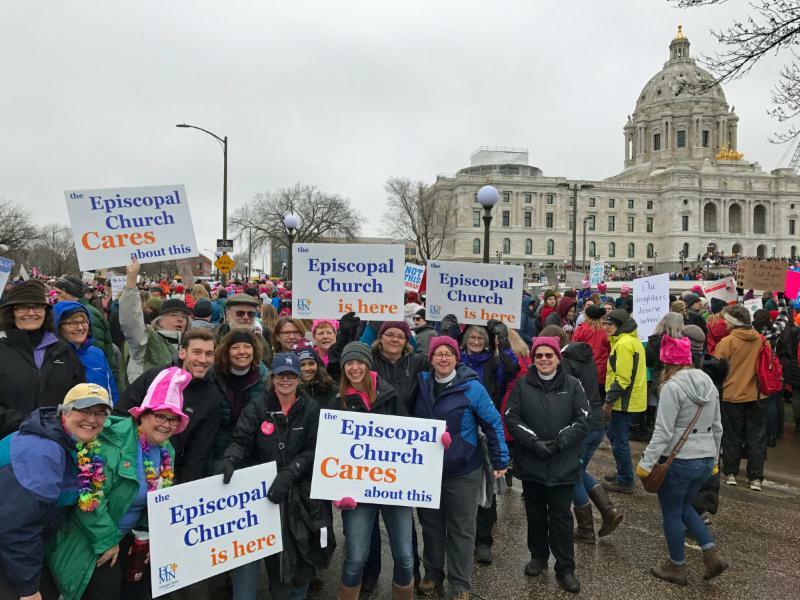 For more information about faith advocacy in the Episcopal Church, click here. All are invited to attend. Adult Forum begins at 9:15 a.m. in the Parish Hall. Childcare is provided. For the next few weeks, we will be reflecting upon our many gifts and how we offer them in and through our St. John's community. This year's stewardship theme is "Now into the World," a phrase echoing the commission we accept in our Post-Communion prayer each Sunday. Providing 1,464 of food to the local food pantries so far this year. Providing hundreds of school supplies and lunches for students at Bellevue Elementary School and Peter Paul Development Center, while offering parent/teacher support. Joyfully welcoming nearly a thousand community members through weekly worship, hymn sings, concerts, special services, and prayer vigils. Creating over 75 opportunities for learning and spiritual growth through weekly Wednesday night and Sunday morning Adult Forum programs. Restoring our Parish House offices and church grounds to be a welcoming place for dozens of visitors, every day. We invite you to read the stewardship materials you recently received in the mail and to read it prayerfully and consider how you are being called to contribute your time, talents, and treasure to our shared life. We will conclude this season on November 18 by welcoming the Bishop and celebrating our new members! Sunday we welcome Julie Simonton, Director of Congregational Development and Stewardship from the Diocese of Virginia, and her colleague, Richard Jones, from the Diocese of Hereford in the Church of England . We are delighted that Jim will be offering Sunday's homily during worship. During Coffee Hour , he and Julie will facilitate a conversation on congregational vitality and growth. You will be invited to offer your own stories about the ministries at St. John’s that witness to the work of God’s Spirit in the world we serve. We hope this will help us to consider prayerfully how we are being called to contribute our time, talents, and treasure to our shared life. Our Wednesday evening programming is currently discussing, Being Wrong: Adventures in the Margin of Error, by Journalist Kathryn Schulz. 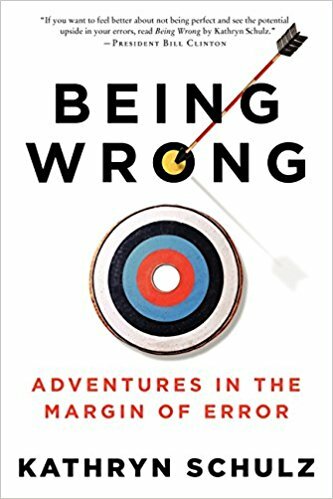 In it, the author explores why we find it so gratifying to be right and so maddening to be mistaken, and how this attitude toward error impacts our relationships—whether among family members, colleagues, neighbors, or nations. Drawing on thinkers as varied as Augustine, Darwin, Freud, Alan Greenspan, and Groucho Marx, Schulz proposes that error is both a given and a gift—one that can transform our worldviews, our relationships, and, most profoundly, ourselves. Each evening’s session begins in the Parish Hall with a simple supper at 6:30 p.m. followed by our discussion at 7:00 p.m. Next week, we will cover chapters 11-12. Copies of the book are available for purchase online in hard copy or in electronic (see below) format. Please contact the Parish Office if you need help with the purchase. Study & Discussion 7:00 p.m. In the early church the word “saint” was used to describe a baptized Christian. 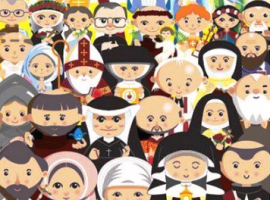 All Saint’s Day is the time we honor all the saints of God, all of us , through Holy Baptism and through the remembrance of saints departed. On November 1, as we welcome our newest saint into the household of God through the waters of baptism, we will also remember those Saints of God who we lost this past year. 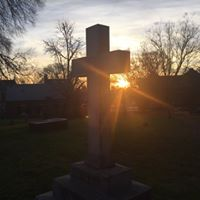 If you would like to include loved ones who have died since last All Saints’ Day, November 1, 2017, in the prayers for the departed, please send their names to Patty Duffy no later than Wednesday afternoon, October 31. 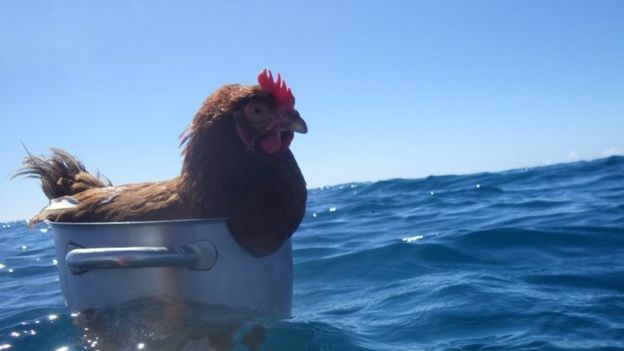 The Right Rev. 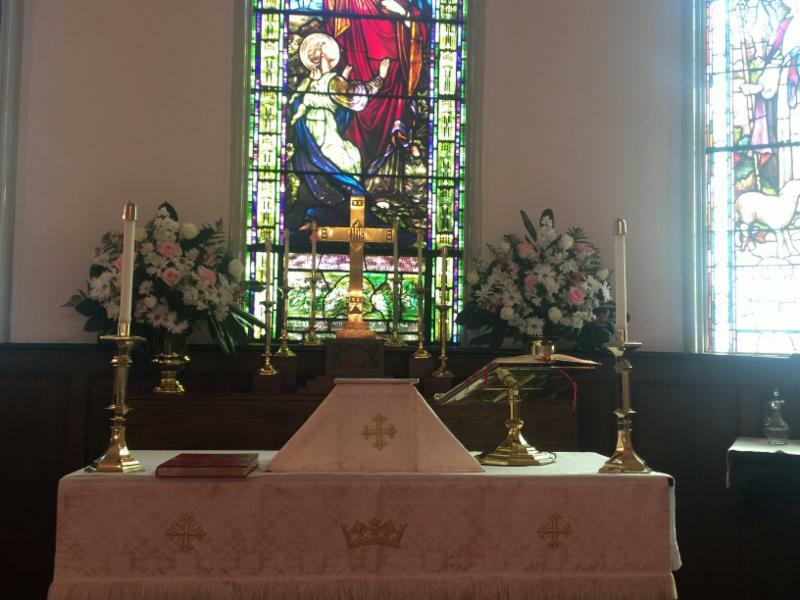 David Jones, retired Bishop Suffragan of the Diocese of Virginia, will visit St. John’s November 18 at a single 10:00 a.m. service for Holy Baptism, Confirmation, Reaffirmation, and Reception. We hope you will support new members by attending the service. Plan to stay afterward for our annual St. John’s Celebration in the Parish Hall. 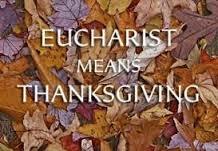 Plan to attend our annual Thanksgiving Eucharist, and bring your friends and family. Attending church on Thanksgiving Day focuses your celebration on thanking God, solidifies your connection to the St. John's community, and gives everyone at your house something meaningful and joyful to do before tucking into their turkey. Bellevue Elementary needs mentors, lunchroom buddies, and tutors. Scheduling is flexible and during the school-day. If interested, please contact Ms. Charla Armstead . Requirements: background check and orientation meeting. ﻿Join the $5 Club : Pledge to spend at least $5 a month on non-perishable foods to feed others. Bring your donations on the first Sunday of each month, or deposit them in the basket at the rear of the church at any time. First Fruits Sundays : First Sunday of every month. Bring non-perishable food items to church for donation to the Christ Ascension Food Pantry. Christ Ascension Food Pantry currently needs pasta, tuna, and peanut butter. Laundry Love : Third Saturday of every month from 11:45 a.m.-2:15 p.m. Help do your neighbors' laundry at the laundromat at 25th & Nine Mile. Please contact David Curtis for more information. simple craft supplies (pipe cleaners, popsicle sticks, glue, etc.). A box for your donations is in the Parish Hall. This is an ongoing collection. If you have any questions, please contact Liz Broda. The Community of Deacons in the Diocese of Virginia will sponsor a canned tuna and chicken collection at Annual Convention the first weekend in November. They will disburse this collection to food pantries and ministries throughout the Diocese. Since we support Christ Ascension's Food Pantry with First Fruits, we will give half of our collection to it, and the other half to the Convention collection. We will also include the full amount we collect in our First Fruits totals for the year. ﻿Please deposit your donations to this drive in the collection box in the Parish Hall. You may contact David Curtis with any questions. 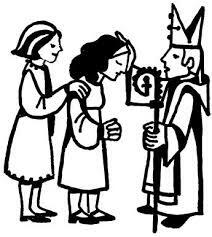 The St. John's community is invited to Sarah Kye Price's ordination to the transitional diaconate (all ordained priests are first and always ordained deacons). Everyone is invited; no exceptions. ﻿All members of St. John’s Church are welcome to attend vestry meetings as observers. Minutes of recent meetings are posted on the bulletin board in the Parish Hall foyer. Please share your ideas or questions about the life of our parish with a vestry member. Bring your prayers to the Wednesday morning prayer group. Pray with us silently or aloud as the Spirit leads you, and let us surround you with love and prayers. Find sacred silence and hear the still, small voice of God. Simply stop by the Keeper's Cottage any Wednesday at 10:00. Prayer ministers also offer individual prayer Sundays during communion. The deadline for submitting copy for the weekly bulletin insert and parish-wide email is Wednesday morning , but earlier is always appreciated. Please send your content to Patty Duffy . Please note that content may be edited to accommodate space limitations and style guidelines.